The SOP presented the water table at the Washington County Water Fair Wednesday and Thursday May 13th and 14th 2015. 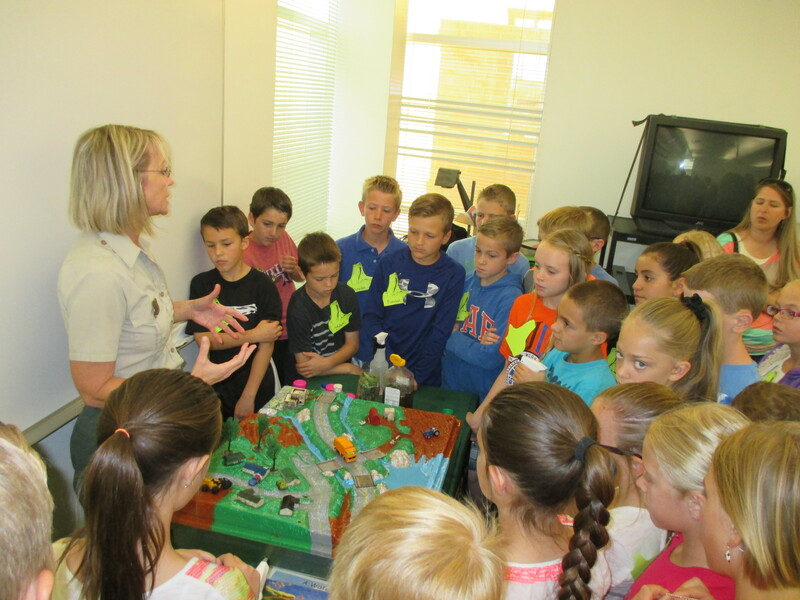 Fourth graders from the Washington County School District learned about the importance of water conservation. The model represents a watershed and kids simulate a rain storm and watch how the water flows into the aquifer. They then see how different pollutants effect the water supply and discuss ways to minimize the impact of pollutants. It is a great hands on experiment, the kids love it!